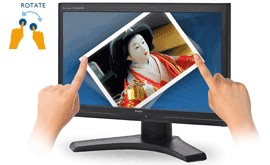 The panel features High Definition 1920 x 1080 resolution with a 5msec response time. 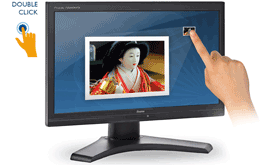 Analogue and DVI inputs are available for flexible connectivity along with USB for the Touch Interface. 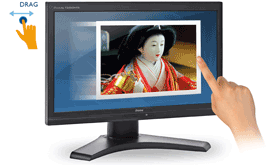 Designed to handle graphics-intensive applications with ease, this high-performance 61 cm (24") monitor delivers stunning detail, depth and responsiveness. A high performance IPS display with the latest 4K UHD (3840x2160) super resolution and accurate wide colour gamut capability.